Harrow is a suburban town situated in the London Borough of Harrow. It is surrounded by Wealdstone in the North; Harrow on the Hill in the south; North Harrow, West Harrow, and South Harrow in the West; and Belmont, Kenton, and Northwick Park in the East. Wealdstone has a sturdy industrial legacy of some manufacturing firms such as Whitefiars Glass, and Winsor & Newton. Major employers in this region include Kodak Alaris (a technology company), Ladbrokes (a British-based betting and gambling company), and the Royal National Orthopaedic Hospital. It forms a commercial hub, including a town centre with two shopping centres. Recently, Lambeth council has signed a four-year contract to provide 'communications services' to Harrow council. However, it is ending the four-year contract, worth £0.4mn a year, just after a couple of years as officers at Lambeth council running both the contract and its finances are leaving. Lambeth council feels that there will be a significant change with the staff leaving and it would leave a gap in contract management including its financials. The contract is due to end on 1 July 2017 and Lambeth council's plan is to move the six Lambeth Communications (LamCo) staff deployed on the contract to Harrow council – the staff will move to Harrow with their current pay and conditions. A cluster of large sites within the Borough, and with reasonably high public transport accessibility, the Council is working towards delivering sustainable development. Combined with the opportunity for retail development and the management of strategic industrial land will contribute to the shaping of a sustainable new community within the Harrow. New development will contribute towards qualitative improvement in the standard of living for the people of Harrow, which is assessed as being of high value. DNS Accountants see a lot of opportunity in Harrow for both individuals and businesses. Good preparation and groundwork is imperative to ensure business success. Starting a business can be an exhilarating experience where individuals can pursue long-held ambitions and strive to succeed. But before taking the first step, it becomes vital for the business to understand that there are numerous factors that need to be considered and make preparation for them before stepping into self-employment. Whether an individual is starting their own business or the business is already up and running, every now and then it can seem challenging with the change in regulations. 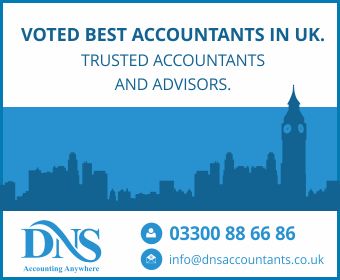 If an individual is new or expanding business based in Harrow, you can get in touch with DNS Accountants for business support and guidance through our experienced professionals. Whatever stage the business may be at, we can provide guidance through our appropriate business mentors who have years of experience and knowledge to help the business grow. Our accounting and taxation programme in Harrow gives businesses the opportunity to work directly with a skilled business mentor; someone who has helped business attain success and reach breakeven at a very early stage. In addition to the above mentioned services, we also provide services for the construction industry under the Construction Industry Scheme (CIS). Our services for the construction industry and landlords include thought leadership on topics such as self-assessment, capital gains, inheritance tax, and taxation planning. 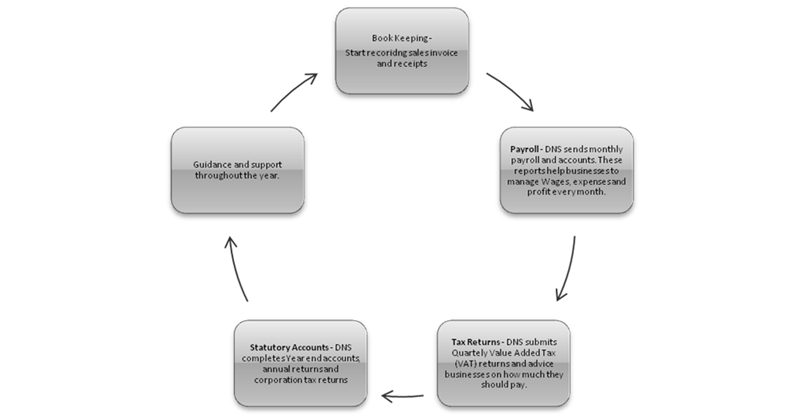 Also, DNS Accountants is allied with IPSE and through the association we aim to help businesses with services such as tax investigation; compensation for ailing individuals; toolkit for business template; compliance management and accurate filing. We have a team of learned ACAs and CAs and our team helps small-businesses and contractors / freelancers in Harrow. We contribute towards the growth of a business and provide taxation, accounting and other business consulting services to companies and their employees.